Send a message to ILLICIT Hair. We will get back to you as soon as possible. 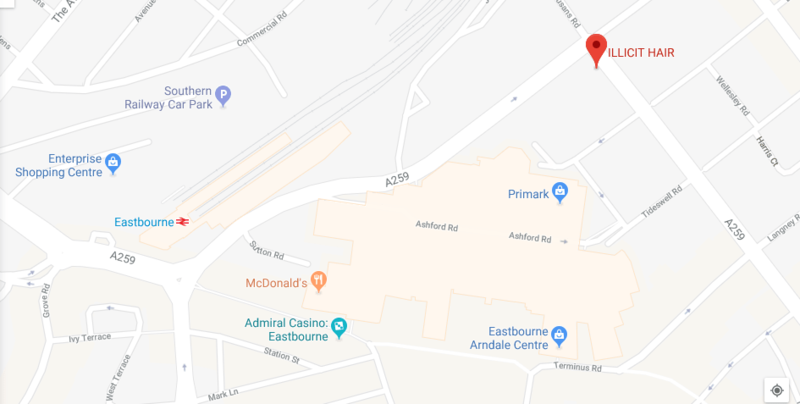 To get to ILLICIT Hair salon from Eastbourne train station, head towards Ashford Rd/Gildredge Rd. From Ashford Rd, turn right to Susans Rd. You will see our salon on the right-hand side of the road.